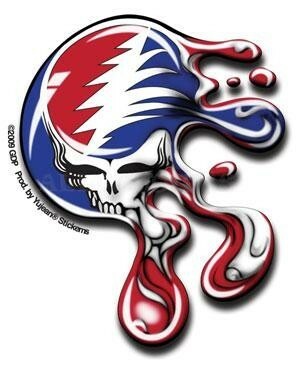 For those smaller areas, here's are mini melting stealie. Perfect size for a helmet. Size: 2 1/2" x 2" die-cut sticker. Weather-resistant, extra long-lasting. Officially licensed Grateful Dead merchandise.